“The Room” exceeds the hype! 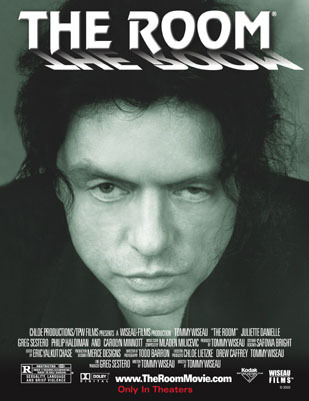 I am sure many people out there have already witnessed “The Room” perhaps even several times but if not I’d go out this in your list of movies to see immediately! What is The Room? It’s the worst film ever made. At least that’s what it has been tagged as for quite sometime now. To me that’s a mighty strong claim as I have seen and enjoyed many bad movies in my time. Even after hearing all the hype around it, reading articles in the local paper, interviews with Tommy Wiseau (the movies maker) and it recently playing in several different theaters here in PDX I still somehow figured I had already seen the worst of the worst in my time.I however was wrong.